Compared with ordinary runner moulds, hot runner injection moulds have the advantages of high injection efficiency, good quality of injection moulded parts and material saving, etc. With the development of plastic industry and plastic moulding, hot runner technology is constantly developing and perfecting, and its application range is more and more wide. The hot runner is heated to ensure that the plastics of the runners and gates remain molten state. Since the heating rod and the heating ring are arranged near or in the center of runner, the entire runner from the nozzle exit of injection moulding machine to the gate is in a high temperature state, which make plastic in the runner keep molten state. And it is generally unnecessary to open the runner to take out the condensation after the shutdown. Just heat the runner to the desired temperature when you turn it on again. Saving raw materials and reducing injection moulded products cost are the most prominent features of hot runner injection moulds. In the ordinary gating system, there is a large number of shanks are generated, and in the production of small injection moulded parts, the weight of the runner condensate may exceed the weight of injection moulded parts. 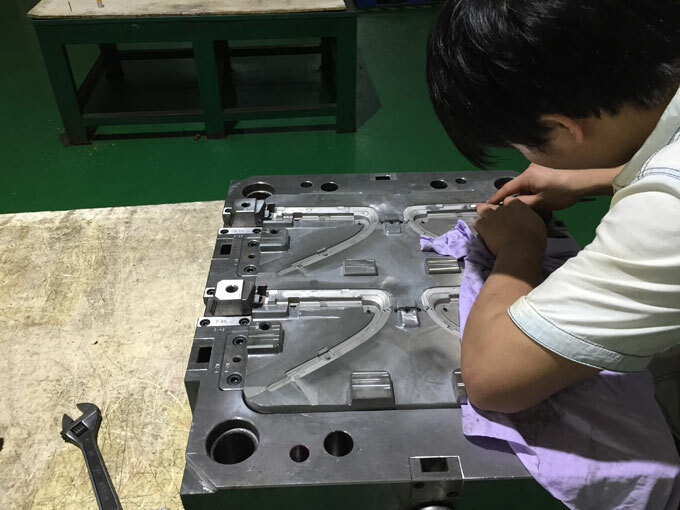 Since the plastic is always in a molten state in hot runner injection mould, the gate of injection moulded parts does not need to be trimmed, and basically is no waste processing, so that a large amount of raw materials can be saved. Since don’t need these processes of waste recycling, selection, crushing, dyeing, etc., labor saving, time saving, energy saving. Since there is no recycling processed gate material in the injection material, the product quality can be significantly improved. Because the plastic of gating system remains molten, the pressure loss is small when flowing, so it is easy to realize the low pressure injection moulding of multi-gate and multi-cavity mould and large injection moulded parts. The hot gate facilitates the pressure transmission, and can overcome the defects such as depression, shrinkage, deformation, etc. formed on products due to insufficient feeding. Hot runner system is suitable for a wide range of resins and easy setting of moulding conditions. Due to the improvement and development of the hot runner temperature control system technology, the hot runner can be used not only for polyethylene and polypropylene with a wide melting temperature, but also for heat-sensitive plastics with a narrow processing temperature range, such as polyvinyl chloride, polyoxymethylene. For flow-prone polyamides (PA), hot runner injection moulding can also be achieved by using a valve-type hot nozzle. 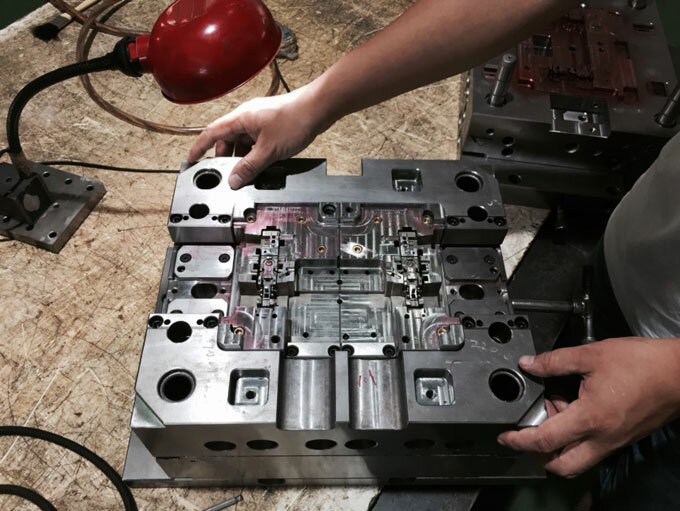 Simplifying operation and shortening injection moulding cycle are also an important feature of hot runner injection moulds. Compared with ordinary runner, the opening and closing stroke is shortened, not only the demoulding and moulding cycle of workpiece are shortened, but also the automatic production is facilitated. According to statistics, compared with ordinary runner, the moulding cycle after switching to use hot runners can generally be shortened by about 30%. Hot runner systems generally consist of hot nozzles, manifolds, temperature control boxes and accessories. There are two types of hot nozzles: open hot nozzles and needle valve hot nozzles. Since the form of hot nozzle directly determines the selection of the hot runner system and the design and manufacture of mould, so the hot runner system is correspondingly divided into an open hot runner system and a needle valve hot runner system. The manifold is used in a multi-cavity or multi-point feed, single point feed but with a material port offset. The material is usually P20 or H13. The manifold is generally divided into two categories, standard and non-standard. The structure is mainly determined by the distribution of the cavity on the mould, the nozzle arrangement and the gate position. The temperature control box includes the main unit, cables, connectors, and wiring sockets. Hot runner accessories typically include heaters and thermocouples, runner seals, connectors and junction boxes. In general, hot runner systems are classified into single-head hot runner systems, multi-head hot runner systems, and valve gate hot runner systems. The single-head hot runner system is mainly composed of a single nozzle, a nozzle head, a nozzle connecting plate, a temperature control system, etc. The single-head hot runner system plastic mould structure is relatively simple. The molten plastic is injected into the nozzle connecting plate by injection machine, and is injected into the cavity after reaching the nozzle head through the nozzle. 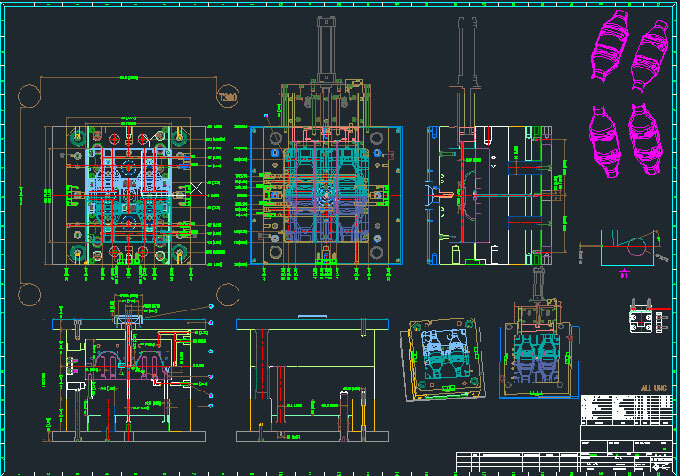 The plastic mould structure of the multi-head hot runner system is complicated. The molten plastic is injected into the nozzle connecting plate by the injection machine. After the molten plastic flows to the nozzle through the hot runner plate, and reaches the nozzle head, and then is injected into the cavity. The nozzles and fixed plates of hot runner system have radial dimensional fit requirements and axial dimensional limit requirements. The valve gate hot runner system has the most complex plastic injection mould design. It has the same structure as the plastic mould of the ordinary multi-head hot runner system, and an additional valve needle transmission device controls the opening and closing movement of the valve needle. 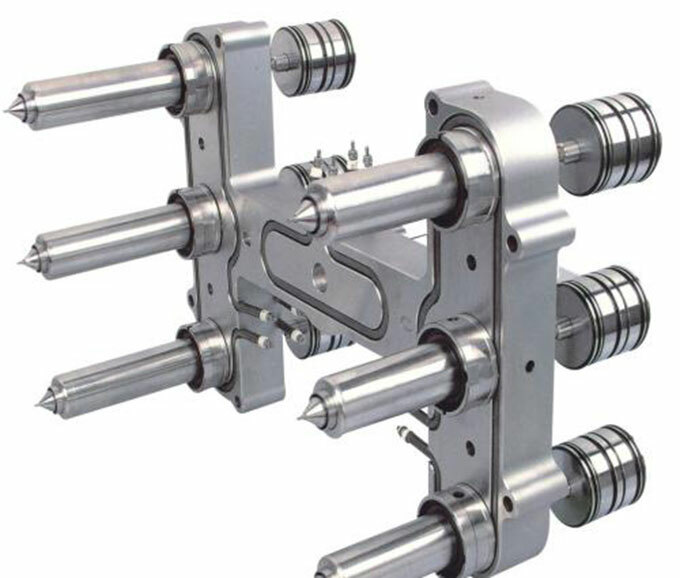 The transmission device is equivalent to a hydraulic cylinder, which is connected with the mould by the hydraulic device of injection machine to form a hydraulic circuit, realizes the opening and closing movement of needle valve, and to control the molten state plastic is injected into the cavity.